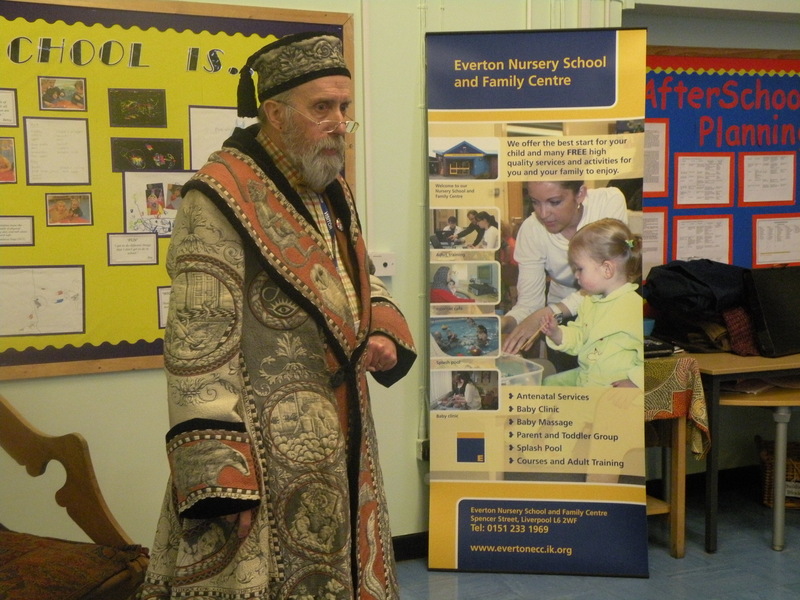 A big thank you to everyone who braved the snow and came to our Community Eco Afternoon. 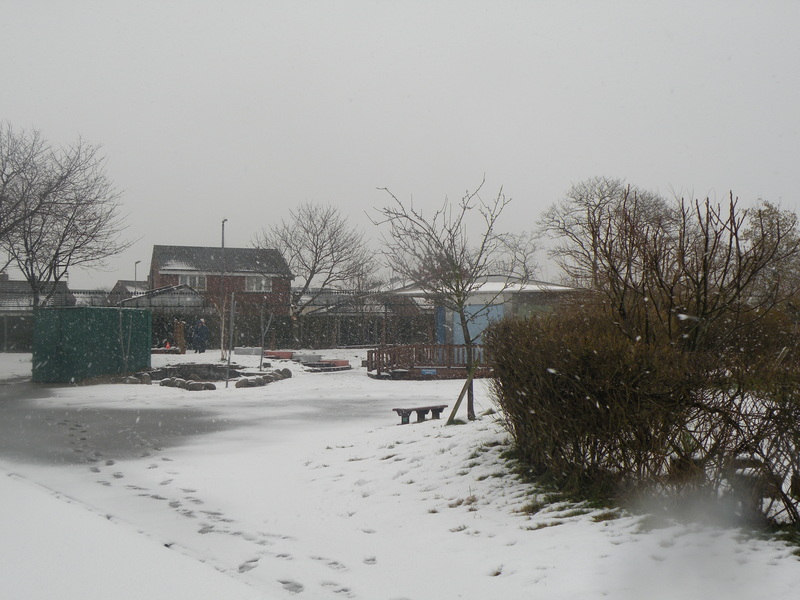 and the unforgettable Orienteering Easter Egg hunt which took part during a mini blizzard! 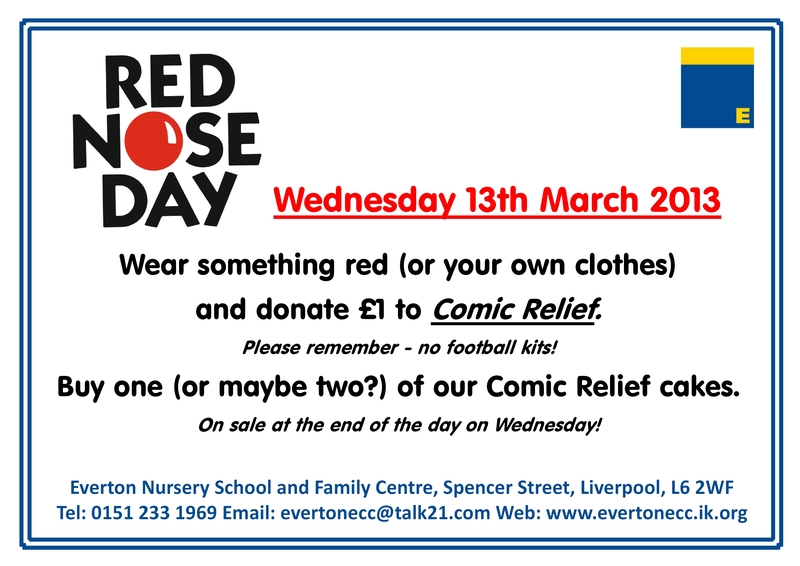 We are holding our Red Nose Day celebrations on Wednesday 13th March. and donate £1 to Comic Relief. Please remember – no football kits! Buy one (or maybe two?) of our Comic Relief cakes. On sale at the end of the day on Wednesday! 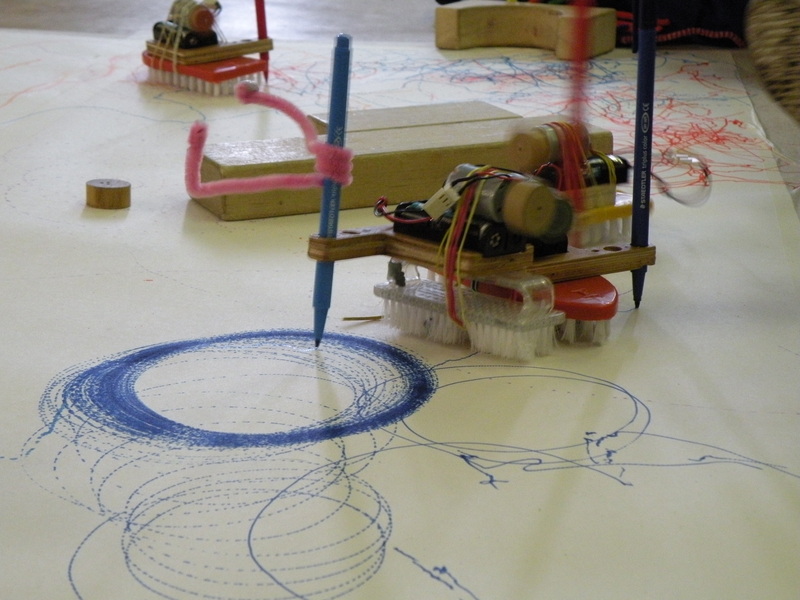 Today Tony from Tate Liverpool came to visit and brought his Brushbot making kit. Attach the motor to the batteries place them on the hard side of a brush, attach the whobbler to the motor and away you go! 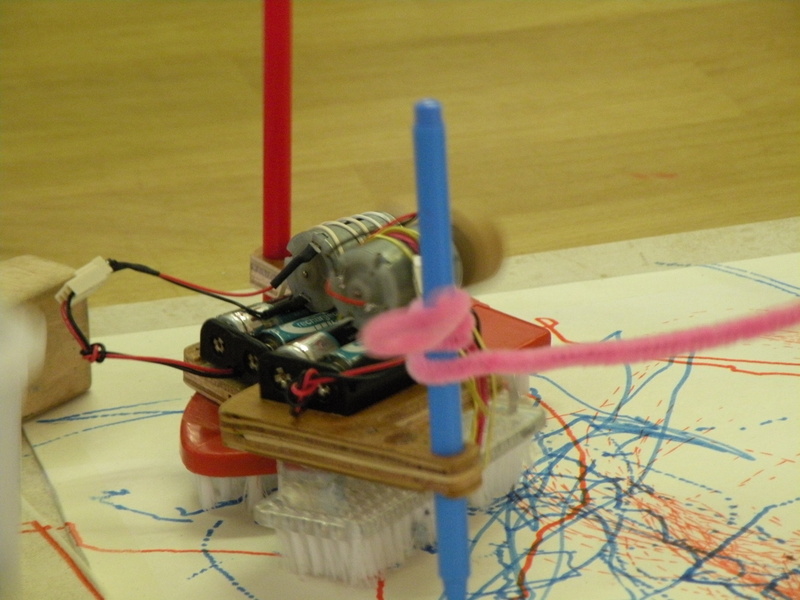 The Brushbots were great fun! 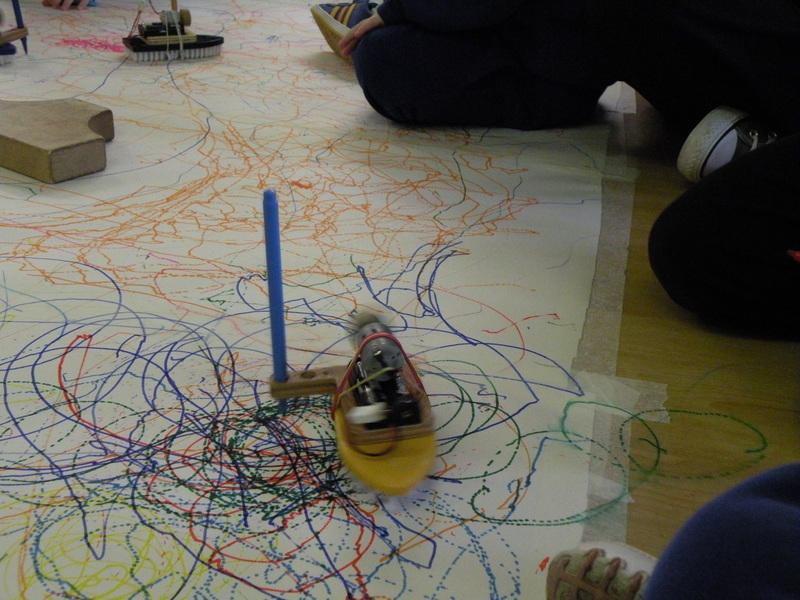 We will be exploring outdoor brushbots in the Summer term. 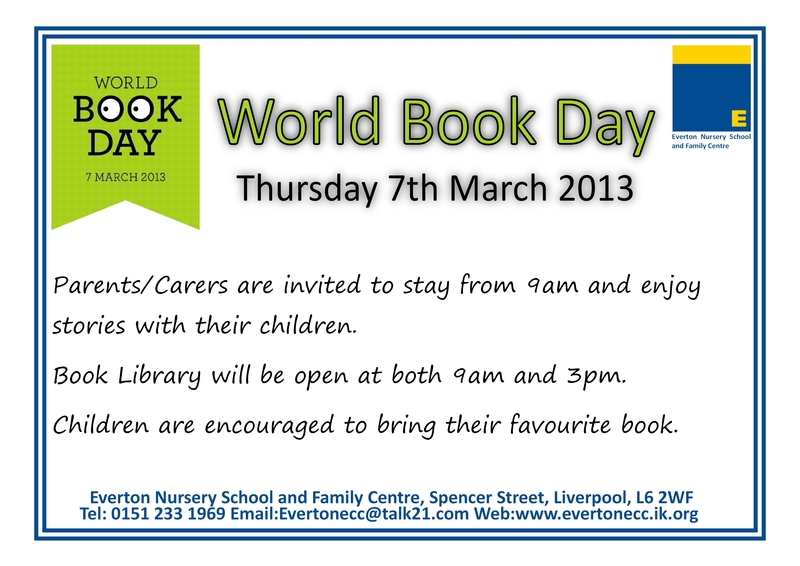 Thursday 7th March 2013 is World Book Day. All Parents/Carers are invited to come in at 9am and share stories with their children. 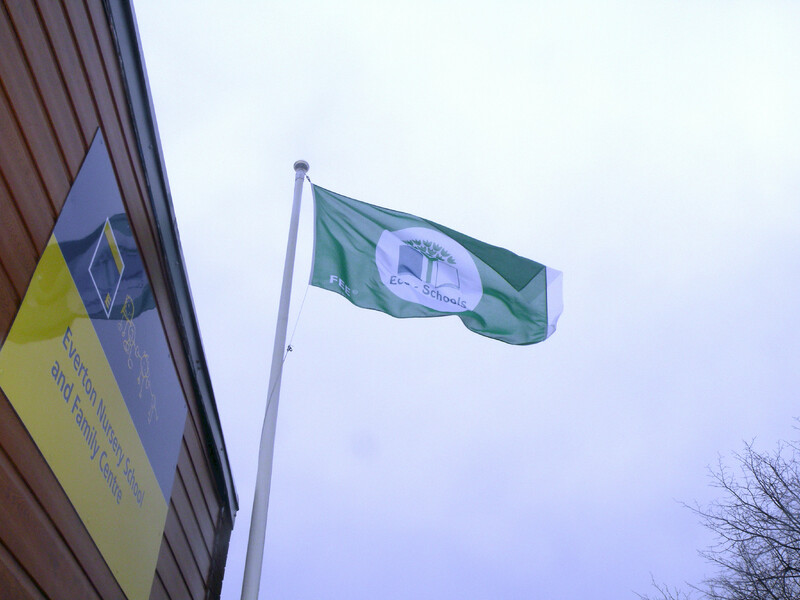 There will be lots of activities and book readings throughout the building. What is your favourite story? There are lots to choose from on http://www.worldbookday.com/. Do you like Alfie by Shirley Hughes or is Horrid Henry your idea of bliss? So bring your favourite book and come along on Thursday 7th March.